“When I was a child, I had two dreams. One was to be a major-league baseball player. 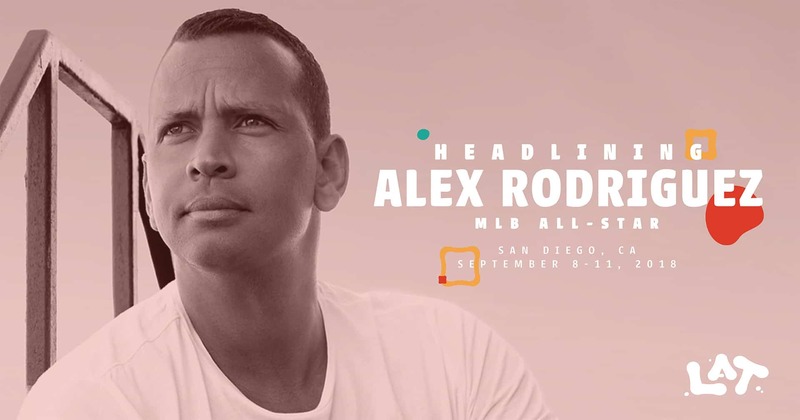 The other was to be a CEO,” said MLB All-Star and one of the country’s most famous entrepreneurs, Alex Rodriguez in a recent interview with Fortune1. The American entrepreneurial spirit helps fuel the U.S. economy. A notable chunk of that economic activity is actually achieved by 11 million minority-owned businesses2 – nearly double the number just a decade ago – employing more than 6.3 million people and generating more than $1.8 trillion in revenue annually. As the U.S. demographic landscape continues to grow and diversify, many industries increasingly rely on minority-owned businesses. One large contributor to the economy are Latino entrepreneurs who, while still growing, are starting businesses 50 times faster3 than any other demographic group. With such large-scale economic contributions and remarkable growth percentages, we should ensure that we are doing our part in supporting and contributing to their success. And that is exactly what Alex Rodriguez is doing. Through his investment firm, A-Rod Corp4, he is dedicated to helping communities where ideas, people, and resources can make a difference. As a famous entrepreneur, he is actively involved in contributing to several organizations, including the Robin Hood Foundation, Kips Bay and the Boys and Girls Club. He has partnered with Dream and NYC Parks to raise $1.5 million to build a recreational baseball field in the Bronx and personally donated $100,000 to the project. He has also teamed up with Project Destined and is helping to transform minority youth into owners and stakeholders in the communities in which they live, work and play. As part of a fireside chat on the importance of entrepreneurship at L’ATTITUDE, Rodriguez will be examining philanthropic investing and discussing the opportunities in providing capital to America’s burgeoning population of diverse entrepreneurs.